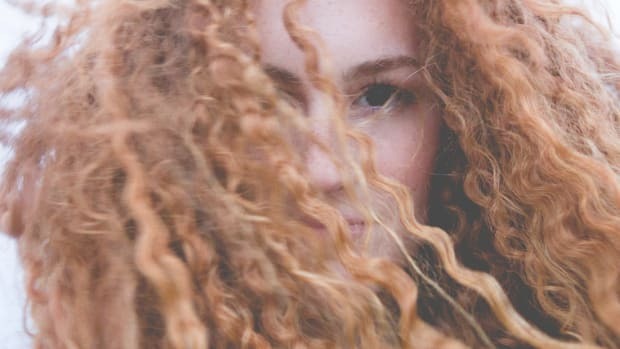 We’re always looking for new ways to keep our hair out of our faces during hot and sticky months, and we couldn’t be more stoked about the return of the half-up look. Don’t worry, this isn’t the slicked-back, half-up, two thin strands assiduously pulled out in front look, a la 1995 (come on, we all did it!). 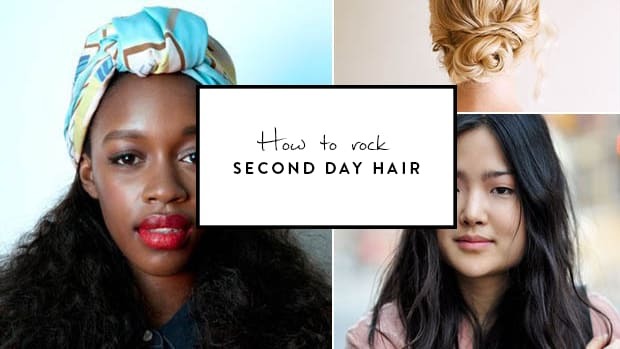 Now, it’s all about creating a slightly unkempt look that’s just ridiculously cool. We turned to the gorgeous Vancouver-based lifestyle blog Treasures & Travels—a one-stop shop for all things inspirational—for their take on the trend. 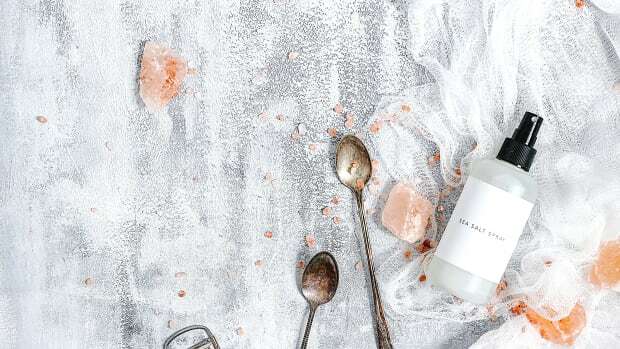 The sister duo behind the blog, Tegan and Lindsay, can’t help but create beautiful things, and their three simple half-up tutorials are no exception. Check out the inspiration and general how-tos below. Then head over to their site for the more detailed step-by-step instructions and pretty images. Divide the front two sections of your hair in half, and pull each toward the back of your head. Combine the two sections, and begin twisting them together as one piece. Continue twisting so that you tie the piece in a single knot. Tuck the ends under, and pin in place. 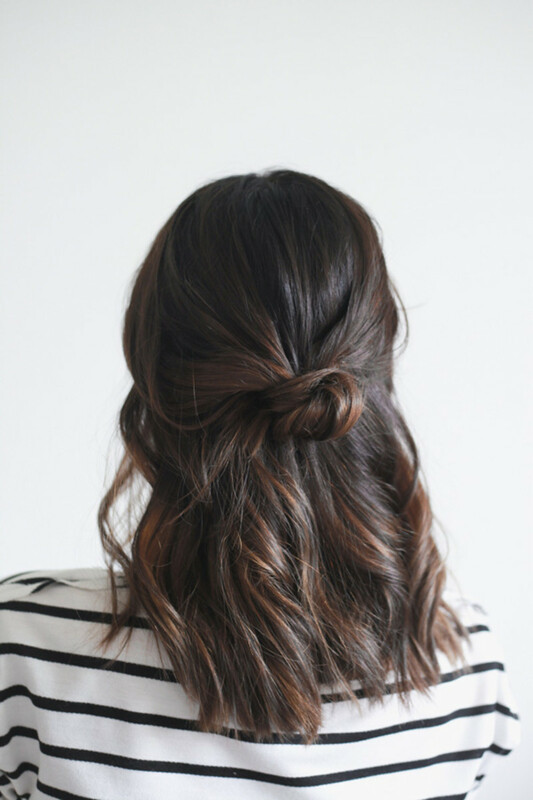 If you feel like it, a little spritz of hairspray will help keep your ’do from slipping. For more step-by-step images of this look, head over to Treasures & Travels. 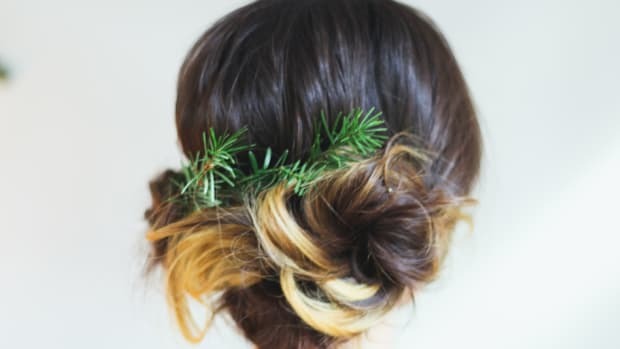 Grab a chunk of hair just above your ear, and braid that chunk of hair downward. 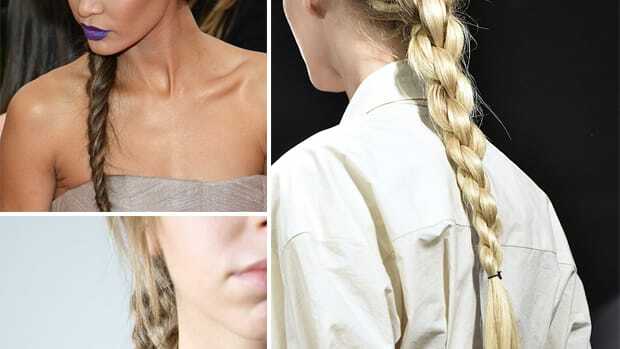 Loosen the braid with your fingers to thicken it. Grab the same size chunk of hair on the opposite side of your head, and bring the original braid across the top of your head. Braid the original braid into the new chunk of hair, going across the top of your head toward your opposite ear so that it looks like one continuous braid. 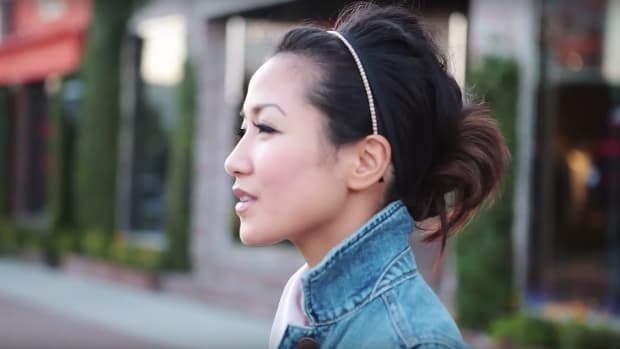 Secure the braid at the back of your head with bobby pins. Where you originally started your first braid, grab a chunk of hair, and braid it downward away from your face. 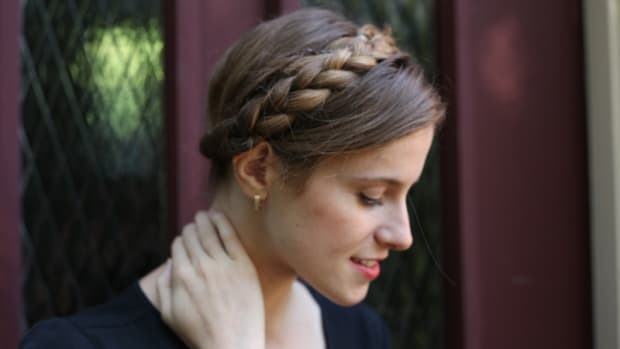 Start the braid tight and close to your head so that it looks like it’s continuing from the original braid. 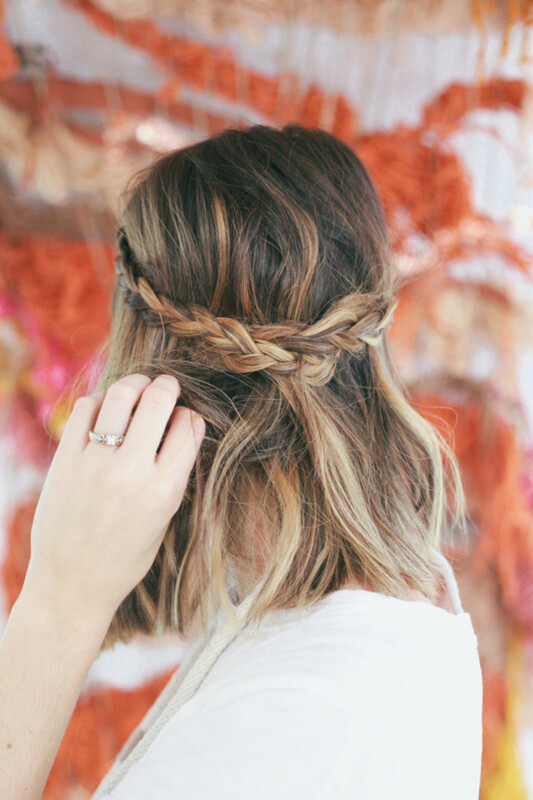 Braid it to the ends of your hair, and tuck the ends behind the other braid at the back of your head. Secure with pins. Use a comb to part your hair horizontally just above your ears. 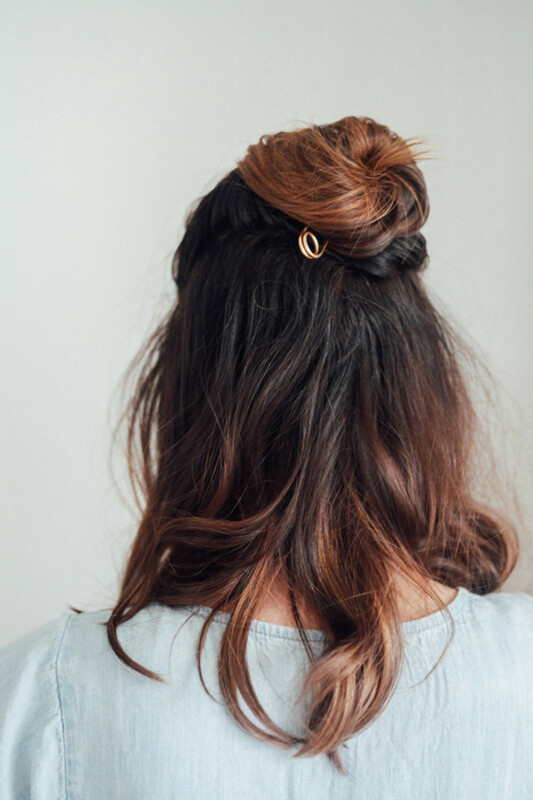 Twist around the top chunk for the top knot, and secure the ends of it in place with a pin or bobby pins. You can backcomb the bottom part to add a bit of volume. 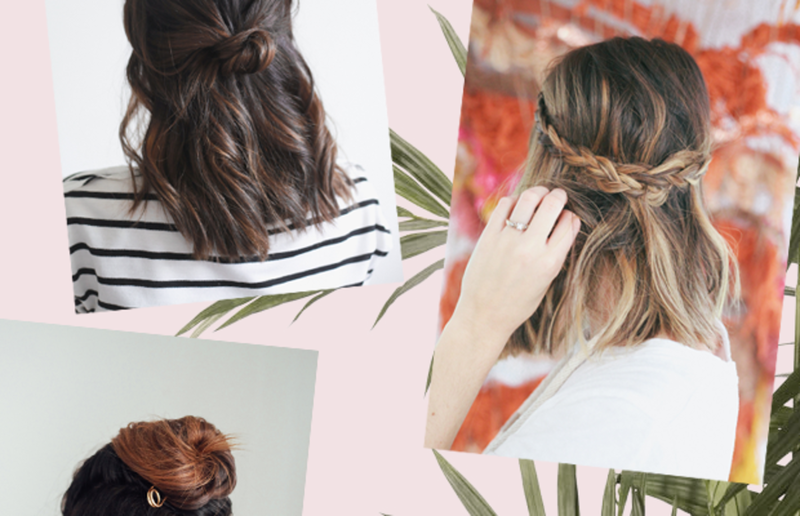 A fresh twist on braided hair.